Do you wonder what motivates and drives some of the most successful people in the world? Often, the answer to the above question is one of the following: Power, money, or fame. Maybe those are motivators for some people, but not for the most successful. The factors that keep successful people going are much deeper. We can learn valuable lessons from these people and how they are able to achieve sustained success. Here is the motivation behind 5 of the most successful people! Share this video! When Jordan was in high school, he failed to make the varsity team his sophomore year. The day he found out he wasn’t on the team, he went home, locked his room, and cried himself to sleep. At that point, he could have given up. Instead, he went to work. He spent hours practicing basketball and once said when he got tired on the court he would visualize the varsity basketball list without his name. That would give him the motivation to start going again. The next year, Jordan made the varsity team and averaged more than 20 points per game. His senior year he averaged a triple-double. He could have become complacent, but he continued to work hard. His work ethic combined with failure as his motivation, helped him win six NBA championships, earn six NBA MVP awards, six-time NBA Finals MVPs, and much more. Oprah Winfrey didn’t grow up privileged. She was poor, abused, and a minority in the 1950’s. The odds were not in her favor. Though most people would have used her background as an excuse, she did not. Oprah’s motivation was understanding she could accomplish big things in her life by owning her outcomes. Instead of using her horrible past as a crutch, Winfrey took responsibility for her life. Some of her accomplishments include a top-rated talk show, the OWN television network, an estimated net worth of $3 billion, and numerous philanthropy projects where she has given away hundreds of millions of dollars. There is no doubt Steve Jobs changed the lives of millions of people. He was brilliant. The motivation behind some of his biggest accomplishments was death. To Jobs, there was no bigger motivator than death. Knowing he would eventually die helped him accomplish outlandish goals. It was even used as a motivator to create some of his boldest inventions including the iPhone and iPad. 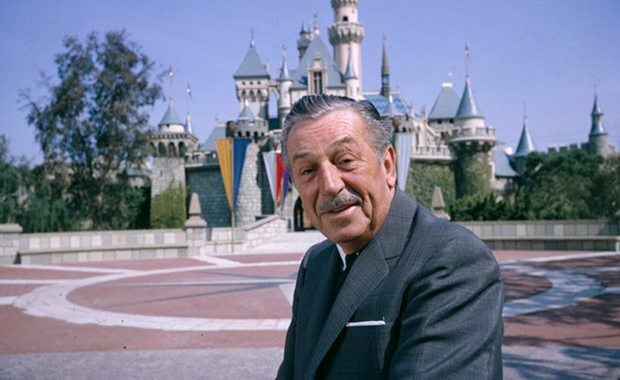 Most of Walt Disney’s early life was checkered with failure. He even filed bankruptcy in his early 20s after the failure of a cartoon series in Kansas City. Luckily, for millions of children and adults, his curiosity to do big things kept him going. This thirst for curiosity helped him produce Mickey Mouse, Snow White and the Seven Dwarfs, and several more Disney characters. Additionally, curiosity led him to purchase swamp land in Florida for the future of the most well-known theme park in the world – Walt Disney World. According to Tony Robbin’s website, he is the nation’s #1 Life and Business Strategist. He has helped more than 50 million people worldwide through his audio, video, and life training programs. Robbins, himself, has hunger to help people. His hunger is how he has been able to help so many people over the past 38 plus years. The most successful people aren’t successful because they were chasing money, power, or fame. They are successful because they have something deep within motivating them to succeed. What is the motivation that keeps you going? Please leave your thoughts below! Travis Scott, most importantly, is a husband and father of four in Ohio. In 2011, after losing a child and spending nearly a decade as a financial advisor, he decided a change was needed. Since then he found a career he loves, sold an app business, and learned what was most important in life. He also started StuffParentsLike.com where he provides tools to lead a happier & richer life for parents and teaches how he makes over $1k a month selling on Amazon part-time. You can follow Travis on Twitter @StufParentsLike. Great inspirational article. Thanks for sharing! Great article, Travis! I just read the other day that Jim Carey said that he wishes everyone could be rich and famous so they realize it’s not the answer. It’s great when people get it! Tony is one my favorite conspirator. His voice and thoughts are incredible. The Path from dreams to success does exit, May you have the vision to find it, the courage to get on to it,and the perseverance to follow it..
Tony is great! And I love your quote there. Thanks!